I'm currently about halfway through chapter 43 of my novel at 49,520 words. When I'm finished I'll have 50 chapters. That means I'm about 87% of the way done with the first draft! It's almost up to the NaNoWriMo standard of 50,000 words. 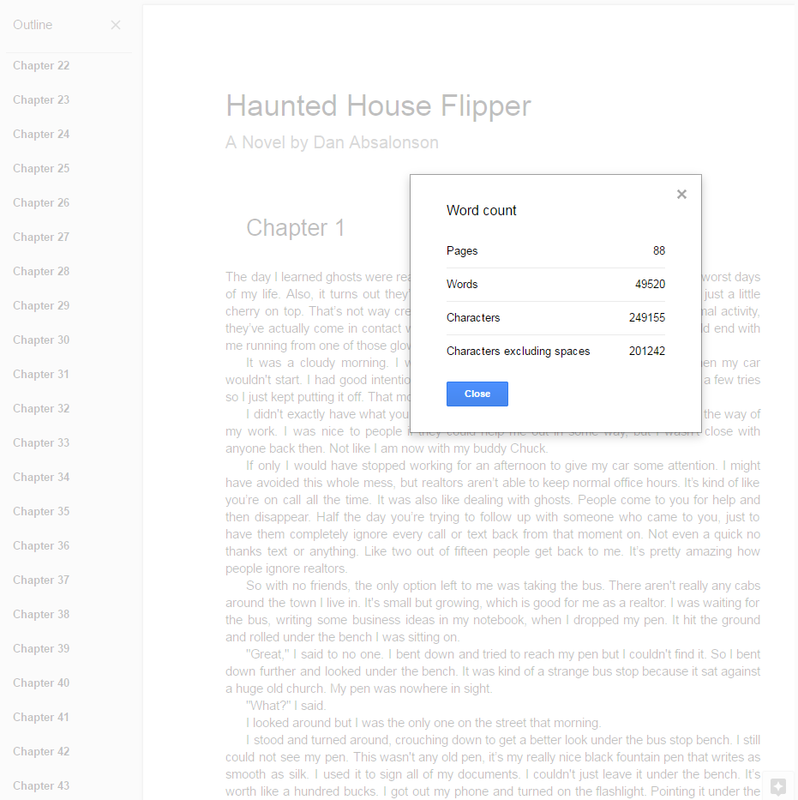 That was actually my goal for the finished manuscript, but many of my chapters are running longer than 1,000 words. I'm okay with it. I'm a huge believer in outlines, but I also think that you should feel free to change your outline as you write. I'm guessing the book will end up around 60K words. Some of my chapters end in the middle of a scene. I've been using the chapters to get the right length and pace to fit my story structure and plot. After I'm finished with the book and I know that things like my breaking into Act II story beat happens around the 25% mark and my midpoint happens around the halfway point, I'll probably combine some chapters. Okay, back to it. Thanks for stopping by!